Tiffany B. Photographer: Trash Your Dress! At any rate, after seeing a few amazing shoots of this type, I decided this was something I could go in for! Took some convincing, but eventually Hubby came on board :). 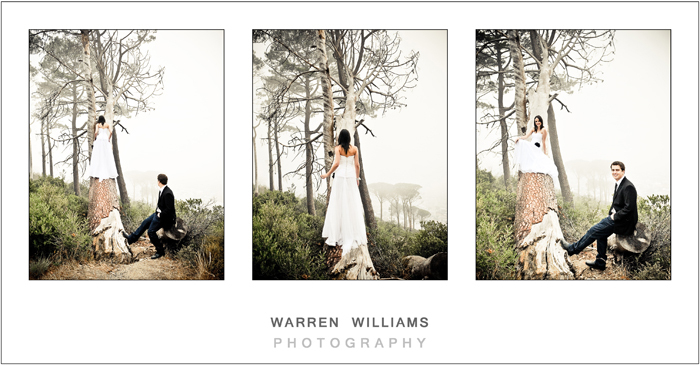 Then, there was the question of which photographer to choose - Just Judy did our wedding and produced GORGEOUS photos, but for this shoot we chose Warren Williams for his super-funky and daring style. And what a fun, funky and daring couple you guys were!